Technology is improving at a rapid pace. Many things are possible today that were only in fiction movies 10 years ago. In the recent past, smart phones have totally changed our lives. What is going to be the “Big Thing” in the next 5-10 years? I Augmented reality and virtual reality are on the tipping point of becoming commercial technology. As we can see, devices such as Oculus Rift and Google Glass are already on the market and available to all the users and developers. As a developer or investor who wants to decide which side you should pick, you need to know little bit more about AR and VR. 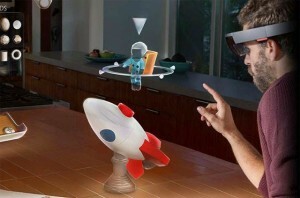 Augmented Reality (AR) is a view of the physical world with additional information. Basically, Augmented Reality is the process of adding layers to the real world in a user’s view to retrieve information for the users. For example, using smartphones to navigate when you are driving is one type of augmented reality. Virtual Reality (VR), on the other hand, is an immersive and sensory experience. Everything you see through VR is developed or defined by the programmer. VR brings you to a total virtual environment which most of time is totally different than the real world. For example, you can use virtual reality to see the view of Mars while you are sitting in front of a computer. What are the applications for AR and VR right now? VR—there is a system for the VR community that contains hardware, software development, outstanding apps and research projects using this technology. For example, Google gave a solution package for their VR projects, which provides Google Jump for recording 360⁰ video, software for making videos and YouTube for playing the VR project in Google Cardboard. Users can choose a VR device based on their needs, such as Oculus Rift, Samsung Gear and Google Cardboard, and there are lots of apps that support different devices. The most inconvenient part is that the compatibility between applications and different platforms is not that good. Developers have many choices for platforms that support VR development, such as Unity and Unreal Engine, which work across VR devices. Also, even though they may not have the VR hardware, developers can test their projects using normal screens to simulate VR device. More and more developers are interested in coding apps for VR. For researchers or big companies, there are many research projects using VR in health, education, training, and other areas. For example, due to the immersive and sensory experience of VR, it can help reduce stress in patients during treatment. The only thing I think is not good enough currently is that VR hardware is too large and there should be a better way of inputting VR devices since several apps currently require a keyboard and mouse. In the future, eye tracking and hand tracking in VR could be an alternate to the keyboard. AR is a technology that can be used in our daily lives. For AR technology there are several mature technologies such as face recognition and machine vision in the industry. Some AR technologies are already used in our lives, such as navigation, advertisement and engineer assistant. There are many excellent AR applications using your smartphone to interact with real world, such as layer and the Ikea Catalog App. These types of AR applications are changing some industry areas, such as education, advertisement and training. There are also several wearable hardware devices for AR, such as Hololens, Google Glass and ODG. Most of them recently became available for average users; except Google Glass. The limitation of all these devices is obvious. They contain a high price, short battery life, small number of applications and support platform (Android). 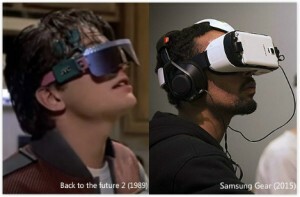 Compared to VR, the wearable hardware of AR is a little behind, but AR is going to help people interact with real world. AR wearable devices have a bright future. AR’s future will be about adding information to your world. It will be the main way we gather and access information, such as looking up data about the object in front you, checking your calendar, and getting directions. VR’s future will be about experience. Virtual reality allows users to explore a world completely unrelated to the view in front of them. Instantaneous travel to any place imaginable. Simulated time travel. VR will enable new ways of learning through immersion, understanding other people’s perspectives, and gaming. In next few years, I believe the VR market will grow fast since the technology, hardware and software is ready and it is going to totally change some areas like gaming and training. In the future, maybe after ten years, AR definitely will enter everywhere in our daily lives. Firstly, VR brings us to a virtual world but it cannot replace the real world for our lives. Second, we eventually need other tools to help us interact with the real world and free our hands making AR the prefect option for replacing the smart phone in the future.